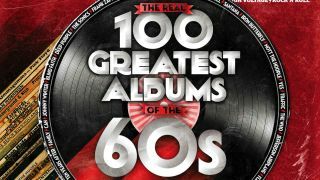 Along with the 70s, the 60s was one of the greatest decades for rock music, producing a swathe of landmark, influential and simply magnificent albums. After much debate and deliberation, we’ve chosen the top 100. We also look at some of the artists whose records are among them, including Mott The Hoople, Free, John Mayall, Traffic, Jimi Hendrix, Jethro Tull and The Doors. Classic Rock 259 is on sale now. Before they became 70s chart stars, they were a wilder proposition – as their incendiary debut album proved. He was in Traffic at their 60s best, played on tracks by the Stones and George Harrison, had Michael Jackson guest on his records… Life’s been quite a ride for Dave Mason. He faced the uneviable task of following his landmark Beano album. Many say the result, A Hard Road, is just as good. Fuelled by “acid, aliens and fearless innovation”, the Jimi Hendrix Experience’s dazzling second album here gets the recognition it deserves. Ian Anderson on Stand Up, the prog legends’ pivotal, game-shifting second album. When drummer Jon Keliehor found himself in the Doors camp, a whirlwind of 60s West Coast adventures ensued. We look at the road to Tons Of Sobs, the debut album from one of the truly great bands to come out if late-60s Britain. With a fanbase as dedicated and engaged as Queen's, we knew exactly where to turn when it came to pulling together the definitive ranking of Queen's best songs. We put each of the band's recorded songs into a giant poll, you voted for them in your thousands, and we also called upon some familiar faces to hear about the Queen songs that really make them tick. What's on your FREE CD? The Classic Rock Machine Turns You On. Again! Swallow My Pride became Green River’s signature song, and also an important one in the soundtrack to the 90s. The former guitar prodigy looks back at the long road to his new record, and talks about living with ALS today. As Switzerland’s answer to AC/DC prepare for a farewell tour, we look at their must-have records. Must-see gigs from The Stranglers, Buckcherry, Bernie Marsden, The Revolution and Blue October. Plus full gig listings – find out who’s playing where and when. The Pub Landlord and Fat Cops drummer on the records, artists and gigs that are of lasting significance to him. Classic Rock 259 is available in UK newsagents now, and is also available to purchase online.